One such operation was held earlier as well in which Chinese and Pakistan flags were recovered apart from some arms and ammunition. According to reports, security agencies also wanted to send a message after Chinese flags were waved by protesters. 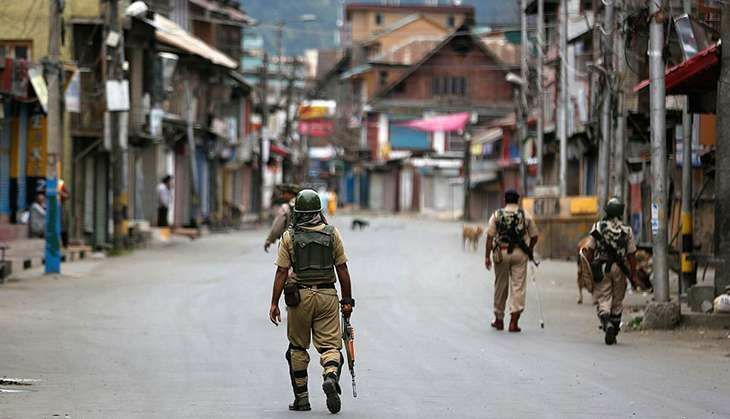 Meanwhile, the Army and the JK Police are sweeping through the area after receiving a tip-off about untoward elements as the entire city of Baramulla is under lockdown. Earlier, terror group Laskar-e-Taiba had warned the Baramulla SHO for carrying out an operation in which at least 44 were arrested for terror-related activities. The crackdown was part of a joint operation by the Army, the BSF, the CRPF and police several localities, including Qazi Hamam, Ganai Hamam, Taweed Gunj and Jamia, considered safe havens for terrorists.